Tinder is no stranger to taking inspiration from other popular dating apps when developing new features. 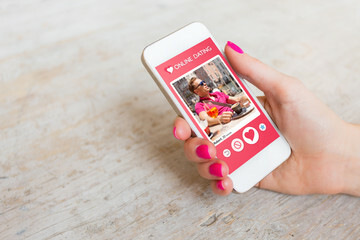 Tinder Places is reminiscent of Happn’s “missed connection” format, and Tinder Feed incorporated Hinge’s ability to comment directly on photos and other profile content. And now CoffeeMeetsBagel’s curated approach to matching has inspired a new perk for Tinder Gold subscribers – Tinder Picks. This is great news for anyone tired of the seemingly endless swiping it takes just to find a few gems. Now you can skip straight to a curated selection of matches Tinder has chosen just for you. 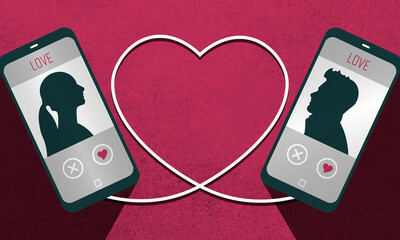 Keep reading to find out how Tinder Picks works, how to get it, and how to get the most out of this Tinder feature! This Tinder feature takes information like education, occupation, hobbies, and interests shared in user profiles and uses it to put them into various categories. You can tap on the golden diamond icon and see what Tinder considers to be your “top picks” based on your swiping history – a custom selection of local singles the matching algorithm feels would be of particular interest to you. Free users can view their Top Picks, and interact with one of them per day. But if you want to swipe, Super Like, or view profiles for more than just one, you’ll have to upgrade to Tinder Gold. Tinder Picks also works in conjunction with the Passport feature – your selection of Tinder Picks will reflect whatever location you’re swiping in. So far, Tinder Picks has launched in the US, UK, Australia, Brazil, Germany, Canada, France, Tukey, Sweden, Russia, Mexico, and the Netherlands. Tinder Picks is available for both iOS and Android in those test markets. If it’s in your area, all you need to do to get Tinder Picks is tap the gold diamond icon at the top of the screen to view your curated match feed. You’ll get between 4 and 10 curated matches every day, but don’t delay swiping on the sinlges who intrigue you – Tinder Picks refresh every 24 hours. If you want more, premium subscribers can purchase additional Picks in bulk quantities of 10, 20, or 30. Right now, pricing varies depending on the test market you’re in. Having Tinder cherry pick your best matches can save you a lot of swiping time, but your profile needs to compel them to like you back. You also want to boost your chances of being someone else’s Top Pick, and for that you need a bio that knocks it out of the park. The ideal primary Tinder pic shows the upper 2/3rds of your body. Not only has research found images cropped more like a traditional head shot were consistently rated as more attractive, it’s also what looks best in the “Top Picks” grid view. Choose an image taken with a high-quality camera where the focus, lighting, etc. are all on point. Be the only person in the frame. While you don’t necessarily have to make eye contact with the camera (although that’s a great way to spark an immediate connection), do make sure your eyes are visible. Sunglasses or other obstructions don’t do your likeability any favors. Whether you enable Tinder’s Smart Photos feature or use a site like PhotoFeeler to gather opinions, getting feedback on your photo selection is vital. Here is why – it’s simply not possible for you to evaluate your pictures the same way a total stranger will. You’re so familiar with your own appearance that your brain naturally glosses over details someone who has never seen you before might pick up on right away. And as you know, the devil is in the details. You want to choose the photos that other people find most attractive, and the only way to do that is to gather opinions. It’s well worth the time and effort to get the most attractive photo lineup possible. What is the point of Tinder’s Top Picks? What is it supposed to do for you? According to Tinder, Top Picks will make your life easier by offering a selection of profiles “picked just for you”, so you don’t have to waste your time swiping on randos. The implication being that these people are the best fits for you according to Tinder’s algorithm; That they had analyzed your swiping behavior and picked the best matches for you according to your taste. If true, that would mean you could set your fear of missing out aside and reduce your swiping to just these few curated profiles, because looking at others in your normal queue would just be a waste of time. When the blog post announcing the feature first came out, this implication was a lot more explicit. I believe they ended with something along the lines of “Do we know you better than you know yourself?”. They have since changed the wording, backpedaling quite a bit. I wonder why? Personal recollection. May be flawed. Another supposed benefit is that Picks highlights special attributes of your matches-to-be right in grid view (“showing you what makes your Picks swipe-worthy at a glance”), so you don’t even need to waste time reading profiles. How does “Picks” pick profiles for you? What does its algorithm actually do? The notion that these profiles were selected especially for you, according to your tastes, or that they would be especially good fits for you according to the algorithm quickly fades when you log in to your freshly made Tinder account and check “Picks” to see a gallery of profiles already waiting for you before you even made your first swipe. Seeing as this is not OkCupid, and we don’t fill out personality profiles, the only information Tinder has to work with is on whom you usually swipe right, on what other profiles people who also swipe right on that one usually swipe right as well, and the information contained in those profiles’ bios. That sounds complex enough to at least get some hits on your personal taste, but the theory goes right out the window when there are already suggestions for new members. So what are these picks actually based on? My best guess: Absolutely nothing. At least nothing tailored to you. They may be relatively popular profiles who have shown a higher than usual right swipe rate, increasing your chances to match with them, which would make you a happy (returning) customer. Or they may be completely random. We do not know, but considering this next part, I highly doubt it’s anything sophisticated. But what about these “Highlights”? Do they at least offer some valuable info? Taylor* here seems to be quite the athlete. She likes to run errands. Mandy*, on the other hand, is apparently a scholar, because she listed a university in her bio. Is Tinder Picks worth paying for? That would be a resounding NO, from me. Tinder Picks adds nothing of value over the standard (free) swiping experience. If you already have Gold anyway, sure you can give in to curiosity and go see your daily picks. Maybe you’ll have a laugh. But if you were considering getting Gold just for this, you may want to reconsider. And if you were considering buying additional packs of picks, I may have a bridge to sell you (the contact form is in the footer).